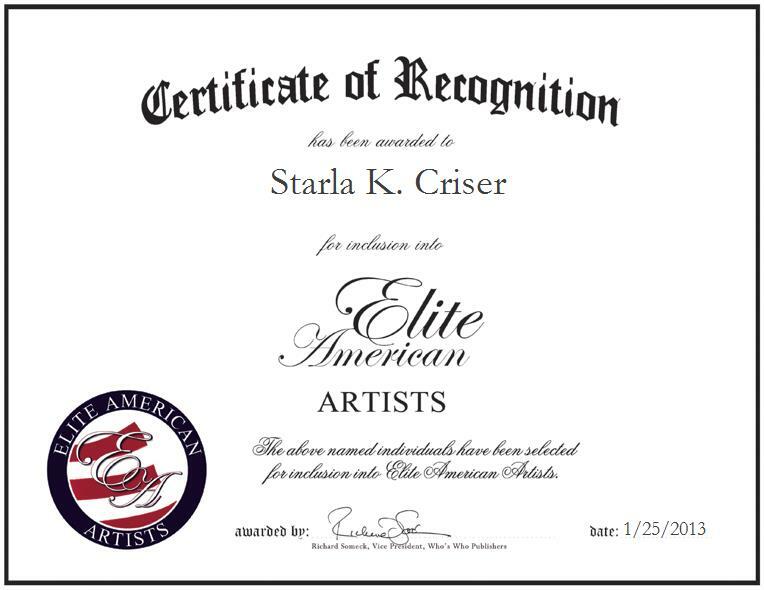 WICHITA, KS, January 25, 2013, Starla K. Criser, Community Relations Coordinator for Criser, Gough and Parrish, LLC, has been recognized by Elite American Artists for dedication, achievements, and leadership in authorship. Ms. Criser is a romance novel author and has had 20 novels, 33 novellas, 14 short stories, and seven anthologies published using three pen names, with four different publishers. She has recently started writing relationship stories for people over the age of 60, using the name of Starla Criser.